Among modern philosophers, few have had a greater impact on history than Karl Marx. Now this easy-to-use introduction to the 19th-century theorist breaks down his work into definitions of his terms and concepts, including Bourgeois State, Classless Society, and Freedom of the Press. 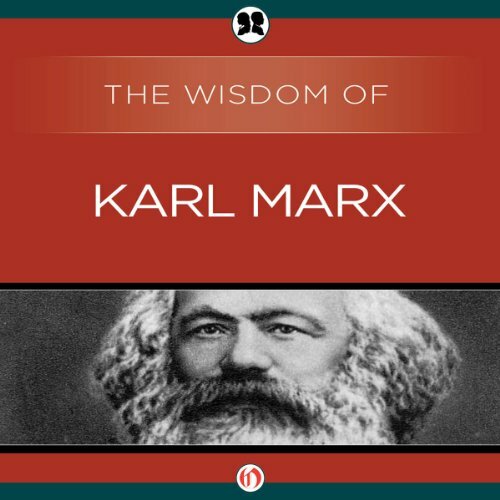 Accompanied by an insightful introductory essay that puts the included excerpts from his works in context, The Wisdom of Marx is essential listening for an understanding of the man whose work incited far-reaching social and economic change. ©1967 Philosophical Library (P)2013 Audible, Inc.
Would you try another book from The Wisdom Series and/or Rick Adamson? What was most disappointing about The Wisdom Series’s story? The overview states that Marx has had the greatest impact and " whose work incited far-reaching social and economic change." And... "Accompanied by an insightful introductory essay that puts the included excerpts from his works in context," However, this is simply a glossary of terms beginning at the 3 minute and 17 second time stamp. The intro does not put anything into context and worse, it does not express the failures of the theory or any of the contested points of view. Therefore, this work has no relevancy to today. It only has relevancy to a failed theory. Have you listened to any of Rick Adamson’s other performances before? How does this one compare? A written glossary would have been far more valuable! Why record a glossary of terms?